I write because… I write because my mother took my sisters and me to the small stone library in our little town to checkout books. I write because it was in that small stone library, and curled up in my blue bedroom, and seated on the benches of the dark wooden dinner table where my mother read to us where I fell in love with the book—its heft, its scent, its promise. I write because I feel better when books, notebooks, journals, and pens are near. I write because writing about an experience transforms it—makes it more real than it was when I lived it. I write to better understand myself and everyone and everything around me. I write to excavate and explore the most persistent questions—the ones I can never answer. I write to find the inner core of myself—the cocky one, the uncensored one, the brave one buried deep beneath the self who moves smoothly through society. I write because sometimes I discover a shocking, mildly distressing sliver of truth in my text, and I write because a sweet response from just one reader can make me cry. I write because editing my words can be fun—like picking up stones or jewels or seashells—holding each up to the light and examining its curves, its colors, its textures and then arranging and rearranging each back into the piece I’m creating until they all fit in a way that pleases my eyes and ears. I write because words can create worlds, and because words are as powerful as the long dark clouds and thunder and rain outside my window. I write because I long to be a writer, to associate with writers, to belong to a community of writers. I write to push myself beyond where I’ve been and to view the world in new ways. I write because writing is a grand challenge—a challenge greater than climbing mountains, scaling masts, or rafting rivers. It is a challenge that constantly asks if I’m up to the task. I write to be defiant—to prove at least one crusty old professor wrong—and to prove several other, suspiciously supportive professors right. I write because everyday it gets harder and harder not to—and I write because it is a task that I abandon over and over and return to again and again. I write because having written—having written well—having written my best—brings a satisfaction and a confidence that not writing never will. I write because failing at a noble pursuit is better than succeeding at a trivial one. BIO: Lisa Beliveau is a writer and adventurer currently living in Panacea, FL. 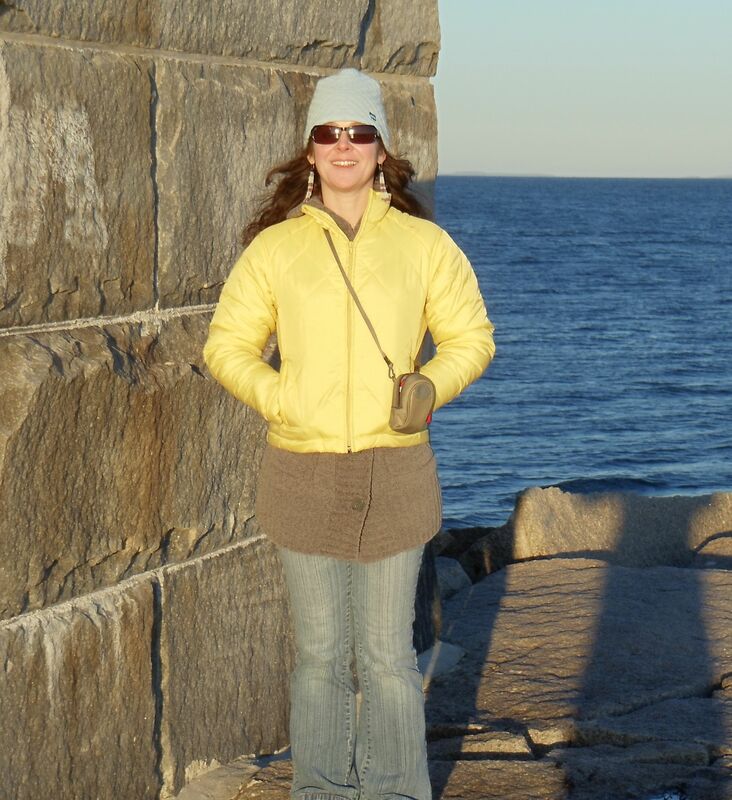 She was the first winner of the James Ballowe Personal Essay Contest, and she has published articles in 48 North Magazine and in Maine Boats and Harbors Magazine. She blogs at www.ISoldMyPearlsToDoIt.com. I write because spectacular people like this writer inspire me, encourage me and lead the way when I’m stuck. Thank you so much for this lovely comment, which inspires me! Yes, yes! While I happily take my books in any format when out and about, there is something about real books with their scent and their heft; it’s why libraries are so inviting. There is nothing like being curled up in the quiet of a library surrounded by books; it’s like being in a cathedral.